The primary means of interacting with a graph's structure is through iteration. Graphs being the tricky beasts they are, though, there are number of different ways to iterate through them. 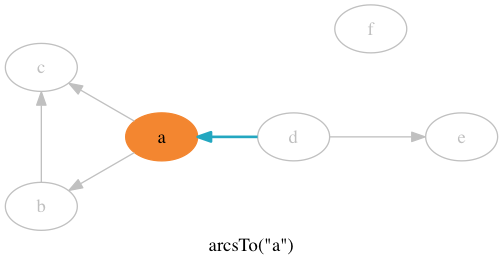 This page explores the different basic iteration mechanisms Gliph guarantees via its interfaces. 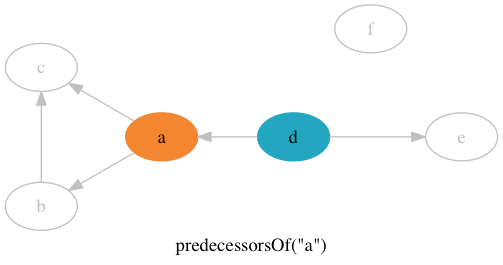 While there are a lot of ways to enumerate a graph, care has been taken to ensure that these ways follow a easily-predictable pattern. The goal is for them to be obvious enough that this documentation starts seeming redundant before you even finish reading it. Iterators mostly come in pairs - for each type of walk, you can generally receive either vertices or edges. 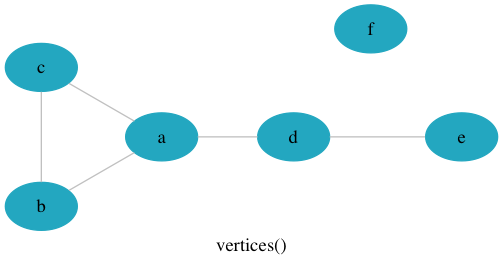 First is Graph::vertices(), which enumerates all the vertices in the graph. 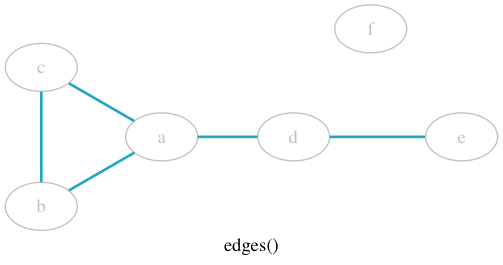 The edge equivalent is Graph::edges(), which enumerates all edges in the graph. 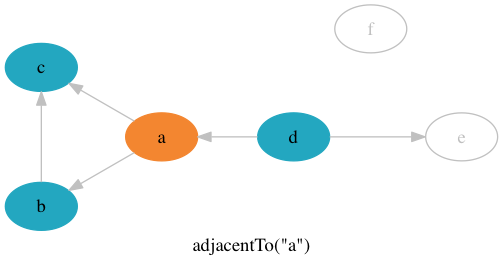 Note that it is an implicit guarantee that there will be exactly one pass through the loop for each relevant datum - calling code should never have to deduplicate vertices or edges. 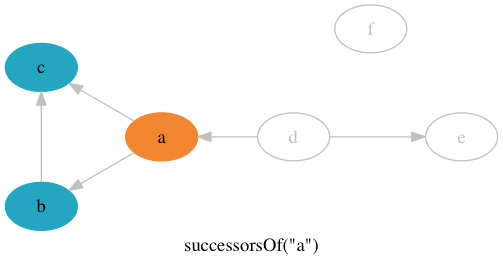 Note also, however, that there is no guarantee as to the order in which an iterator produces results. Reliance on a particular order is an implicit bug. Graph::adjacentTo() is next. It traverses the set of vertices that are adjacent to the provided vertex. // called once for each vertex adjacent to ‘a’ - 3 times. Next is Graph::incidentTo(), which explores the same relationship, but returns the edge information instead. // called once for each edge incident to ‘a’ - 3 times. // edge direction has no effect. // called once for each vertex successor to ‘a’ - 2 times. // called once for each arc outbound from ‘a’ - 2 times. // called once for each vertex predecessor to ‘a’ - 1 time. // called once for each arc inbound from ‘a’ - 1 time.